Is the couch or sofa missing something? The Amish Craftsmen Chairside Table with Drawer and Door feels just right when you'd like to set down a drink while watching TV. Straightforward mission style that's handcrafted in your choice of solid wood and stain. 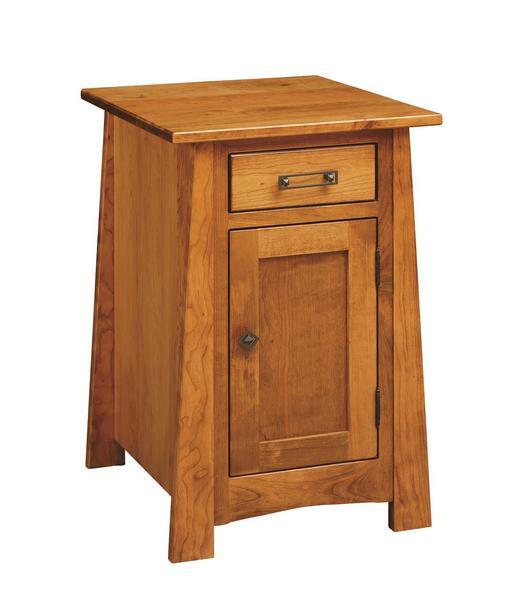 Built solid, your new Amish chairside tables will last for always. If you have any questions, don't hesitate to email or call us. Amish Furniture Specialists are eager to assist you. Thank you for taking time to shop at DutchCrafters.